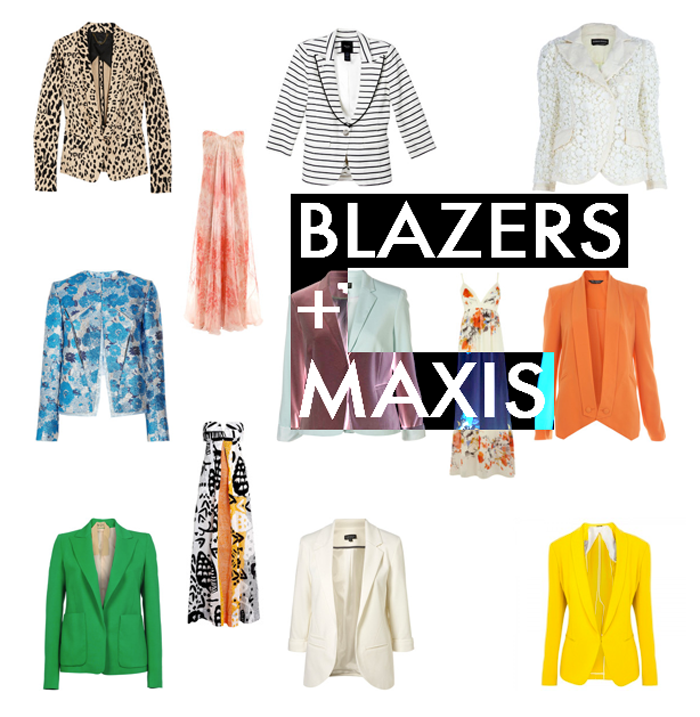 This Tuesday I'm crushing on the look of a crisp tailored blazer pulled on top of a long flowing maxi. Be it a maximus in kind of skirt or frock, either way, this is one look that rocks. I'm slowly bulking up my spring and summer digs with light, airy maxis in bright prints and blend-able neutrals. I plan to accessorize with heeled sandals (pumps just look wrong) and geometric collars. 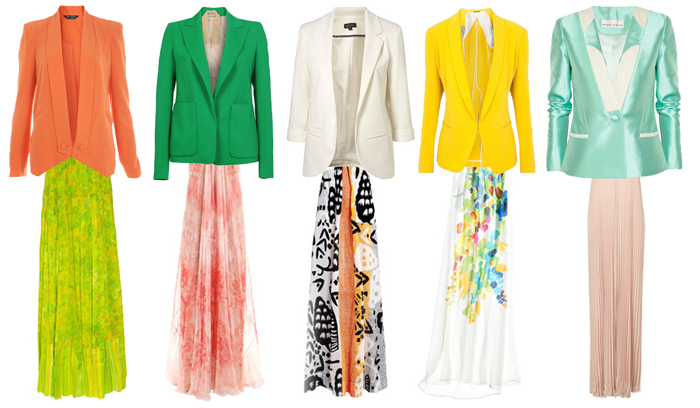 orange drape tux blazer; missselfridge.com, printed cotton maxi; Roberto Cavalli, no21 blazer; thecorner.com, anemone print maxi; Alexander McQueen, ponte boyfriend blazer; topshop.com, new krystal print maxi dress; Diane Von Furstenberg, yellow tuxedo jacket; Rag & Bone, dahlia print grecian maxi skirt; calypsostbarth.com, wool and silk blend jacket; Prabal Gurung, halter pleat maxi dress; topshop.com.